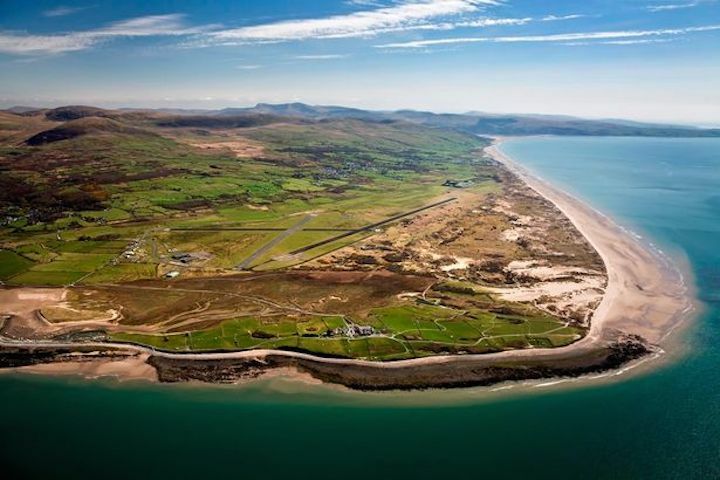 Raumfahrt+Astronomie-Blog von CENAP - Blog: Raumfahrt - Hopes that a North Wales site could be developed into the UK’s first spaceport took a blow today following the release of an influential report. Hopes that a North Wales site could be developed into the UK’s first spaceport took a blow today following the release of an influential report. The UK Space Agency study identified Shetland as the “ideal location” for satellite launches in Britain, potentially offering a huge injection of investment onto the island. However Aerospace Wales, which produced a joint Space Strategy with the Welsh Government in 2015, said the report was not make or break and that the Llanbedr entry was pressing ahead. It was estimated that, if successful, the spaceport, which is close to Shell Island , would generate £4.2m of income and create around 170 jobs. But John Whalley, of Aerospace Wales, said that it was far from over and that the Welsh plans could still become a reality - with a number of UK and international parties expressing an interest. The chief executive, said that little in the Sceptre report, which was part-funded by Highlands and Islands Enterprise, came as a surprise. Regulations dictate that spacecraft do not fly over “populated areas” and the north of Unst would give satellite launchers a clear, unobstructed route into orbit. Other locations, the report says, would require “dog-leg turns” restricting payload size or carrying capacity of a rocket. Unst-based Shetland Space Centre said it has already had expressions of interest from commercial firms and the military and looks set to prove “major new sector” for the local economy. But Mr Whalley said: “The physics was known when we bid, so it is not telling us anything we did not know. We are in an ongoing discussions with the UK Space Agency. He said Team Wales - Snowdonia Aerospace Centre and Qinetiq which placed several bids for Llanbedr with different partners - still had a number of interested commercial parties in the UK and internationally interested in using Llanbedr both as a potential satellite launch pad and hub for space tourism. He added: “There is no reason the whole things can not be done of a commercial basis. 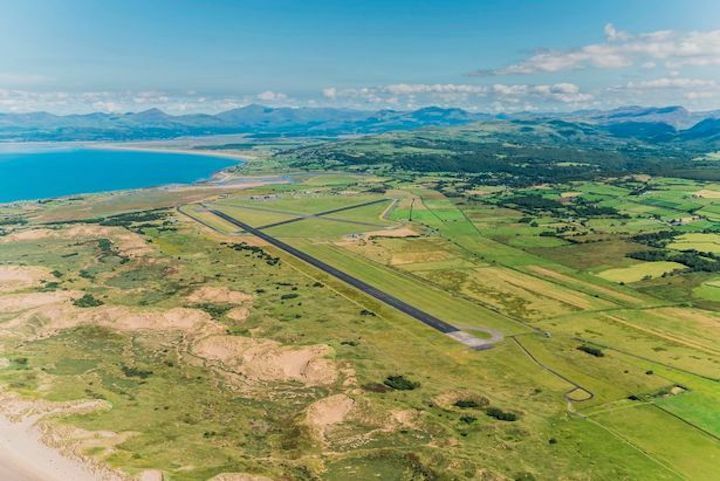 Llanbedr is a remote airfield which is essential for this project but our big USP is that it has a segregated airspace. "Whatever the outcome of the UKSA competition the Llanbedr team are pressing ahead." 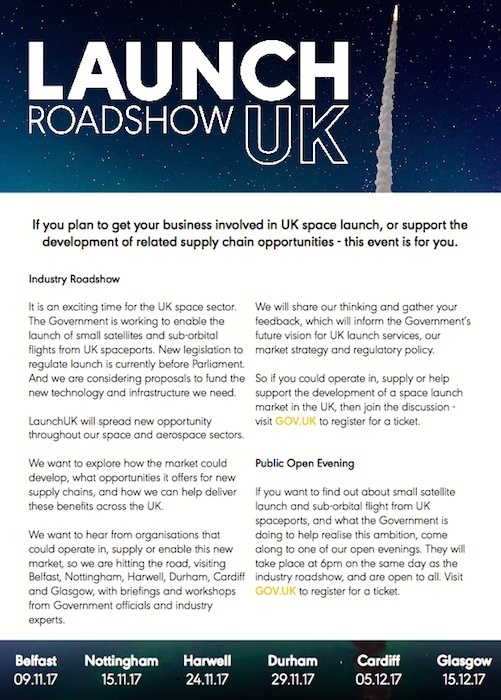 The UK Space Agency is touring the country with industry workshops and public open evenings on LaunchUK – the campaign to enable small satellite rocket launches and sub-orbital flights from UK spaceports.